Prisma And Artisto: These Apps' Creations Sure Look Like Masterworks, But Is It Art? : All Tech Considered Prisma turns your photos into images that look like paintings and Artisto does the same for videos. Art experts say they are tools for artistic play, but the results aren't art in the purest sense. These Apps' Creations Sure Look Like Masterworks, But Is It Art? Ever dream of creating paintings like those by Picasso or Van Gogh? These days you just need some artificial intelligence, which can be delivered through your smartphone. Two of this summer's much buzzed-about apps are Prisma, which turns your photos into what look like paintings, and Artisto, which does the same for videos. Both are available for iOS and Android. Whether the results are true works of art can be debated, but millions of the apps' users are having fun trying to imitate the masters. Prisma uses neural networks and deep learning algorithms to process photos and make them look like art, applying styles such as that of The Scream by Edvard Munch or the pop art of a Roy Lichtenstein. As Prisma Labs co-founder Aram Airapetyan explains, there are several neural networks on a server and each performs different tasks. The goal is to extract the style from the artwork and apply it to the photo. "Prisma's art filters are not actually filters. The result is being created from a blank canvas using the two data inputs — the style and the original photo — to generate a final image," Airapetyan says. Prisma stormed up the app charts and, as of last month, had been downloaded 52 million times, with 4 million active users per day. Here's how Airapetyan explains the success: "We all want to be part of something big, cool and interesting. We all would like to know how we would look like through van Gogh's prism." Airapetyan's lab is working on a video version, due for release in the next few weeks. Artisto, by the Russian company Mail.ru, has done that already. The app processes and transforms video sequences into something reminiscent of A Scanner Darkly, the 2006 science fiction movie by Richard Linklater that used a technique called interpolated rotoscoping. Professionals had to do it frame by frame in postproduction, a process that took 18 months to complete. But Artisto needs only seconds, though it's currently limited to 10-second video clips. Celebrities use it on Instagram, including British pianist and singer Stephen Ridley and the Russian Eurovision winner Dima Bilan. Artisto's developers used, among others, findings from Russian researcher Dmitry Ulyanov to improve the code and to speed up the video processing. This involves training an additional neural network that allows stylized images to be generated very quickly. Art experts say the results aren't art in the purest sense, but such apps may help more people connect to art. You Can Give A Robot A Paintbrush, But Does It Create Art? 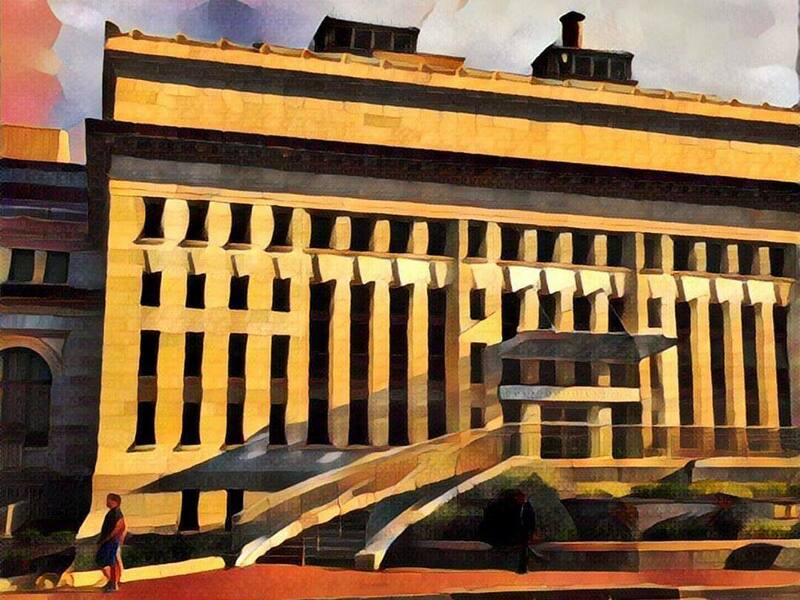 David Nolta, a professor at the Massachusetts College of Art and Design, says apps like Prisma are tools for "artistic play with a fairly limited number of outcomes." It's not art in itself, he says, since all works of art begin with infinite possibilities and decisions. Nolta says Prisma reminds him of a player piano: "While the person controlling the piano is not an artist, and while the music that comes out is at best the reproduction of sounds determined by another, the instrument still does undeniably represent a point of connection between one or more people and a work of art." So, for him, being introduced to a great artist through an app on a smartphone is the start of something good. 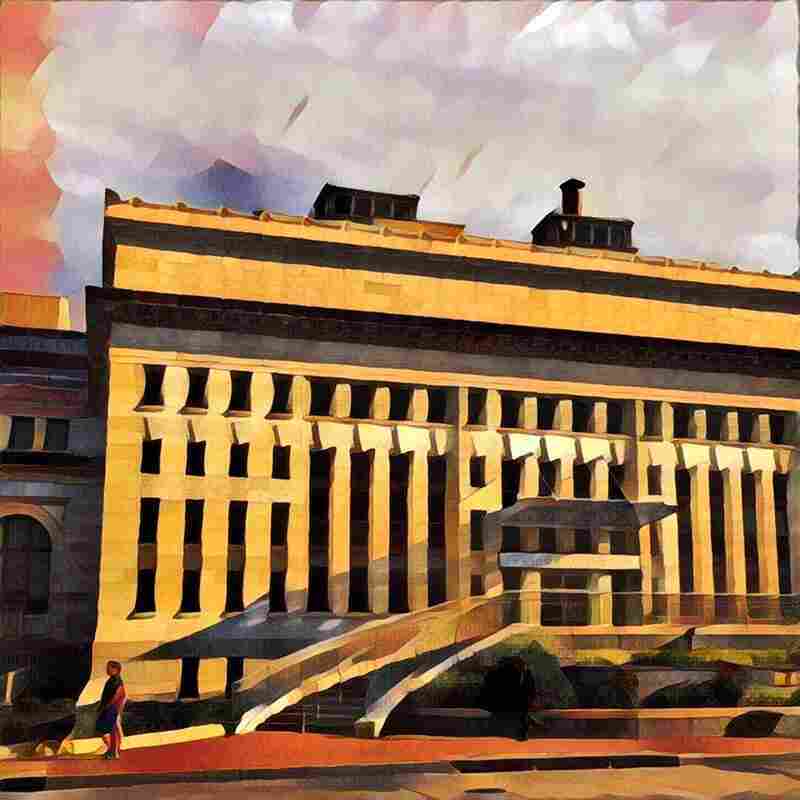 A photo of the Carnegie Library in Washington, D.C., that was run through the Prisma app's "Gothic" filter. Katherine Thomson-Jones, who teaches philosophy of art at Oberlin College in Ohio, takes a similar stance. "The more people with access to artistic tools, the better, since this increases the chances of there being more good art in the world. Of course, it also increases the chances of there being more bad art in the world," she says. Thomson-Jones says that editing with Prisma involves making many creative choices about subject matter, angle, framing and style. "But the resulting Prisma work is unlikely to be something we want to display in a gallery or spend hours contemplating," she says. Mail.ru Vice President Anna Artamonova, whose company developed Artisto, says that "neural networks are rocketing right now in the field of computer vision." 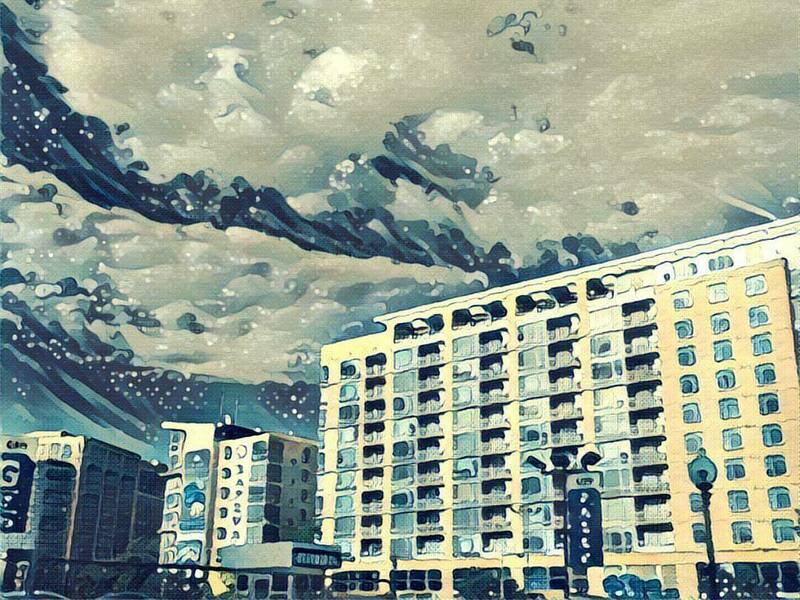 A photo of apartment buildings near NPR headquarters in Washington, D.C., that was run through the Prisma app's "wave" filter. She says apps such as Artisto will make future communication more lively and expressive and in no way "old-fashioned," as it may seem when looking at an artificial impressionist or expressionist painting or a pencil sketch. "It depends on the style of the source that can be anything — from classic painting to ultramodern imagery," she says. Mail.Ru plans to "dramatically improve the quality of the videos" and create 360-degree versions, she says. Narcissistic, Maybe. But Is There More To The Art Of The Selfie?